If that headline reads like the tag for a family-friendly animated film — possibly one released during the holiday season — it’s because Mimpi, an adorable platformer from developers Crescent Moon Games and Silicon Jelly, has all the charm of those movies. The good ones, I mean. The bad ones aren’t charming at all. But a cute visual style isn’t enough, so Mimpi also has puzzles, hidden items, and items to unlock. And it all happens across eight big levels, each with their own visual and play styles. In short, it’s a cute game and plenty of it. 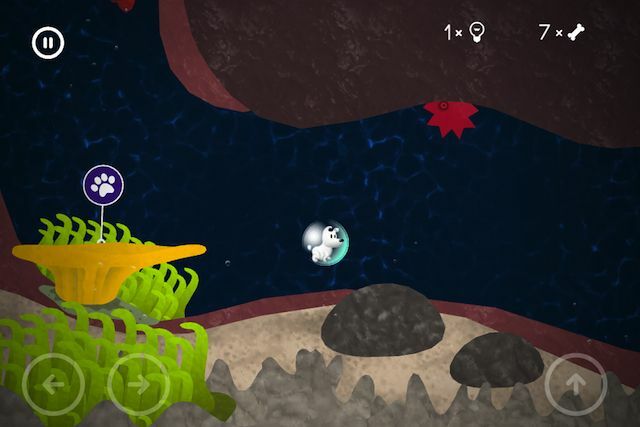 And what would a platformer be without an inexplicable and challenging underwater level? Mimpi is a little dog whose owner mysteriously disappears during Nap Time one day, so of course he immediately sets off to find him because that’s what fictional dogs do in these situations. 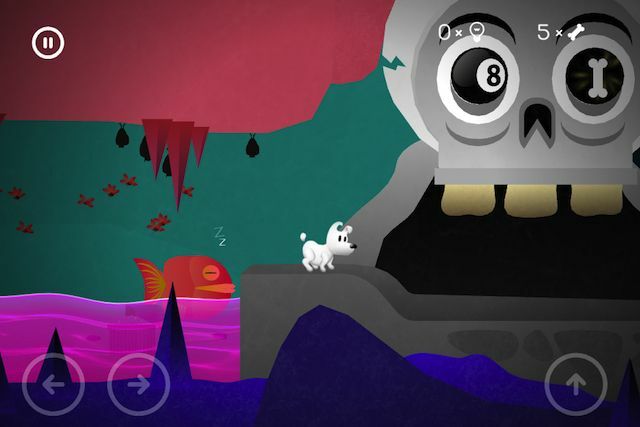 You control him with a simple three-button system (move left, move right, and jump), and you tap and swipe on the screen to manipulate the environment to help Mimpi get past obstacles. For example, you might move platforms around to bridge gaps or turn a wheel to winch two cliff faces closer to each other. It’s a cute game and plenty of it. As is usually the case in these sorts of things, the puzzles get more complex as you go, and if you get stuck, you can trade in one of the light bulbs you pick up around the world for a hint. If you run out, you can buy more hint bulbs with in-app purchases. Mimpi is a pleasant little game that provides a lot of content for your two dollars. It’s definitely worth a try. 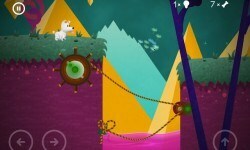 The Good: Adorable graphics, simple controls, and challenging puzzles. The Bad: Virtual buttons aren’t the most precise for platforming. The Verdict It’s the kind of game that makes you smile just by existing.